Are you vegetarian or vegan? 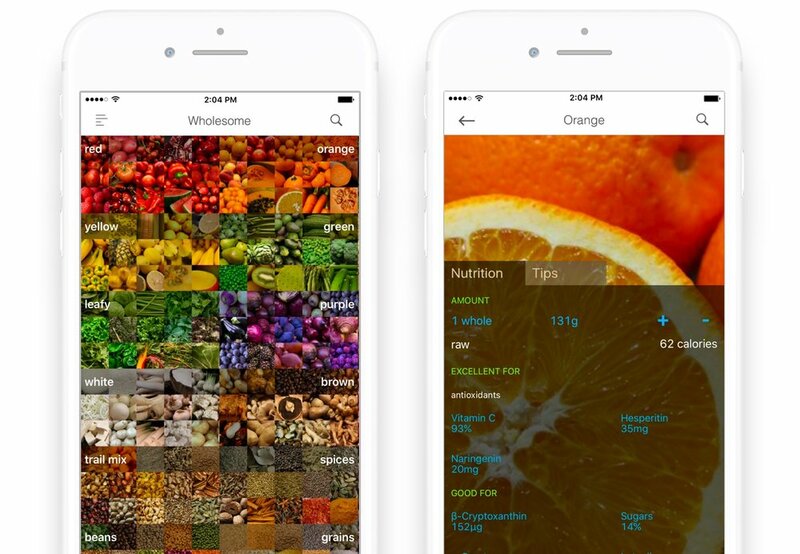 The Wholesome app is a great tool for tracking your plant based diet. The app tracks over 90 vitamins, minerals, phytonutrients and antioxidants (along with all the usual suspects: protein, carbs, fat, etc). Vegetarians and vegans love Wholesome because it allows them to know if they are getting all the nutrients that they need. Wholesome also warns you when you’ve had too much sugar, fat, or sodium. With 90+ nutrients, Wholesome has the most comprehensive nutrient database available for tracking, including macronutrients, vitamins, minerals, phytonutrients, and multiple types of antioxidants and omega 3s. All the data is reliably sourced from the USDA. Wholesome syncs with Health Kit and Apple health app. 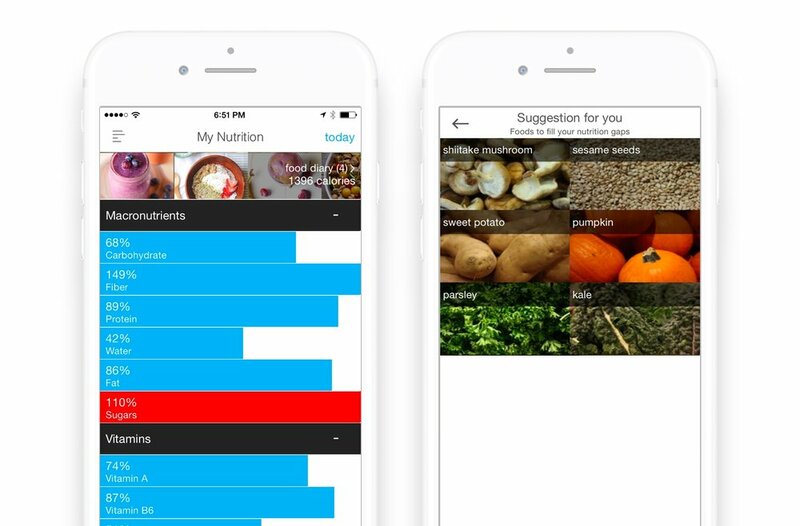 All nutrient goals are customizable. Flavanoids (antioxidants): Cyanidin, Petunidin, Delphinidin, Malvidin, Pelargonidin, Peonidin, Catechin, EGC, Epicatechin, ECG, EGCG, Gallocatechin, Eriodictyol, Hesperitin, Naringenin, Apigenin, Luteolin, Isorhamnetin, Keampferol, Myricetin, Quercetin, Daidzein, Genistein, Glycitein, Isoflavones, Proanthocyanidins, Gingerol, Glucosinolates, Pterostilbene, Diallyl Disulfide. Simply enter in the ingredients and Wholesome will calculate the nutritional content of the recipe and save it for easy one-click tracking. Wholesome will also score the recipe out of 10 points on its healthfulness (nutrition density and other factors). Recipes can be your own creation or you can also bookmark recipes from the web. With just one-click you can track an entire recipe using Wholesome. You can track any recipe in the app including: your own recipes, your friends recipes, or recipes from the community. Wholesome is a fantastic tool for tracking your nutrition while pregnant or while trying to conceive. Folate (also commonly known by the synthetic form 'folic acid'), is a critical nutrient to consume while pregnant as it reduces the risk of neural tube defects in infants. With Wholesome, you can get it directly from whole foods and ensure you're getting enough. Just set your profile to pregnant, and your goals will adjust allowing you to track toward the USDA recommended intake levels. For example, an adult woman is recommended to have 400mcg of folate per day, while a pregnant woman needs to get 600mcg. If set to pregnant, Wholesome will auto-adjust your goal to 600mcg and all you have to do is track until you reach 100% for the day. No guesswork!